Photo courtesy of Kiss and Makeup. In the last few years, a tidal wave of natural skin care products has taken the mainstream market by storm. Tata Harper. Drunk Elephant. Herbivore Botanicals. And it’s no wonder, really. 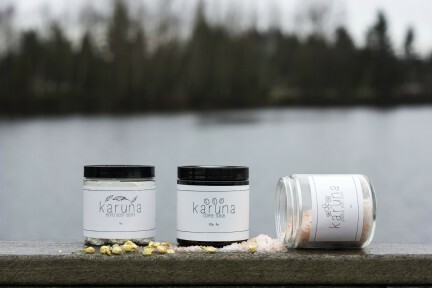 Gone are the days when beauty and skin care enthusiasts were willing to simply put anything on their bodies (the skin is, of course, the largest organ). Instead, consumers want transparency; people want to know how, and where, products are sourced and made, and how they will affect not only the skin but also the environment. But where should one start? 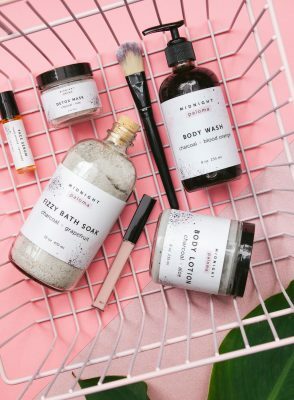 Thankfully, the search for an ethical, sustainably-sourced, and toxin-free moisturizer or cleanser no longer has to mean a trip down the beauty aisle at Whole Foods to scan through a collection of brown and beige bottles of essential oils. All it takes now is a scroll through Instagram, or a trip to Sephora, to get excited hands on a pretty rosehip oil serum or a sleek seaweed exfoliator. Natural is in, and it’s here to stay. What comes to mind when thinking of the Austrian Alps? Crisp air, fresh water, and unmatched nature. The Alps certainly inspire a philosophy of living beautifully and simply—something very much at the core of the alluring organic skin care line Susanne Kaufmann. 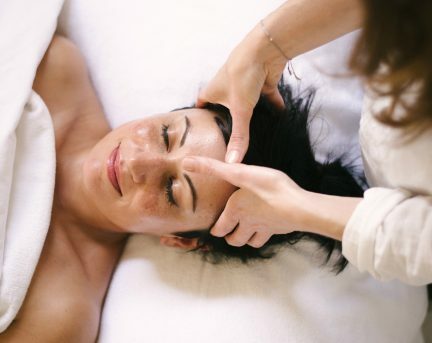 Launched out of the Susanne Kaufmann spa within what is considered one of the most coveted wellness retreats in Austria, the Hotel Post Bezau, Kaufmann is a fifth-generation hotelier, but also lends her hand to an impressive collection of moisturizers, cleansers, and tonics. The secret is sourcing its ingredients from the active herbs and flowers found in the Bregenz Forest. First comes the Tonic Soothing, a little bottle containing some serious anti-inflammation properties, to be applied after cleansing like a toner. Give it a good shake, pour it directly into hands, and pat it onto damp skin. As it sinks in, the herbs activate to mattify and close pores, with ingredients like the St. John’s Wort flower (known to generally combat anxiety when ingested internally; on skin, it can help with drastic inflammation including burns), but also chamomile, a staple in any soothing treatment. 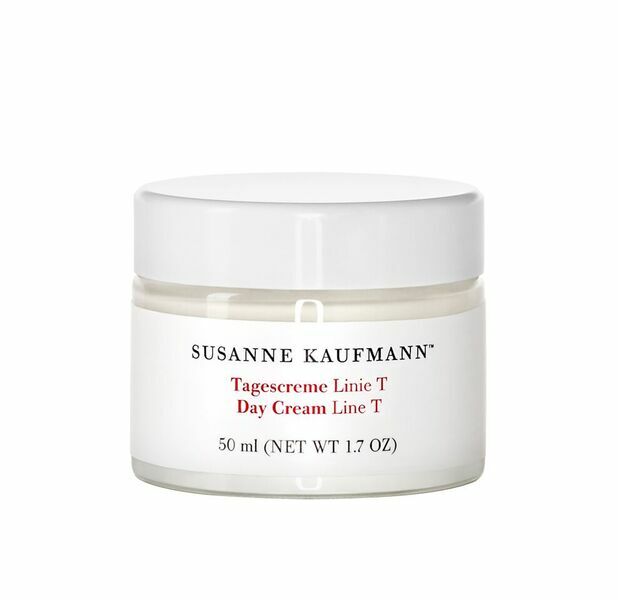 Reach next for the Day Cream Line T, which is perfect for troubled skin (especially those suffering with acne, whose skincare routine requires a benzol or retinoid in the evening). Wake up and dab a few blotches onto the forehead, cheeks, and chin. Ingredients like sage mean the skin gets a dose of Vitamin A, which deters free radicals and increases cell turnover. Just like a trip to the Alps, these products leave skin feeling light and refreshed. As many skin care experts would say, there is nothing more important for one’s complexion than a good sleep. 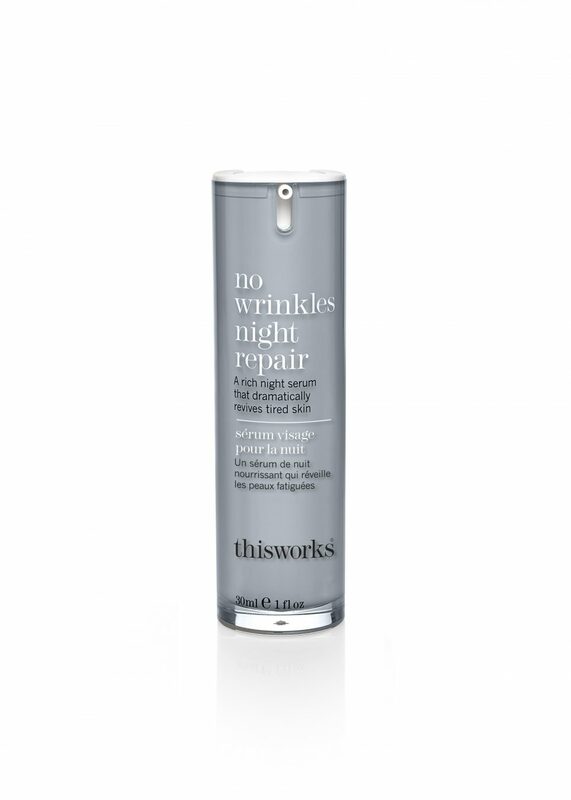 But for those nights when a complete eight hours is just not possible, our skin needs a little help, and that’s where Britain’s ThisWorks comes in. The 100 per cent natural therapeutic and botanical oil skin care line aids in the face’s rejuvenation and reconstruction process overnight (hello, cell turnover and collagen). At the heart of all products is the use of essential oils, which have been employed throughout history to heal many ailments. First, there is the No Wrinkles Night Repair serum, which contains Persian silk tree extract and queen of the night oil from a cactus flower that only blooms at night. Together, these two ingredients work to reduce glycation, the process of sugars breaking down essential proteins needed for elastin and collagen production. The Night Serum also contains retinol and hyaluronic acid for a complete overnight treatment. Those familiar with essential oils will have heard of rubbing lavender around the pillow, or on the pulses, to help with a good night’s sleep. This is very much the idea around the best-selling ThisWorks product, the Sleep Plus Pillow Spray. Spritz one or two pumps over linens and instantly become subdued by the calming scents of chamomile, lavender, and vetivert, the Indian grass that is known to treat insomnia by relieving the nervous system. Whether it’s the ingredients, the scents, or the simple ritual of it all, there is a difference felt—and seen—come morning. 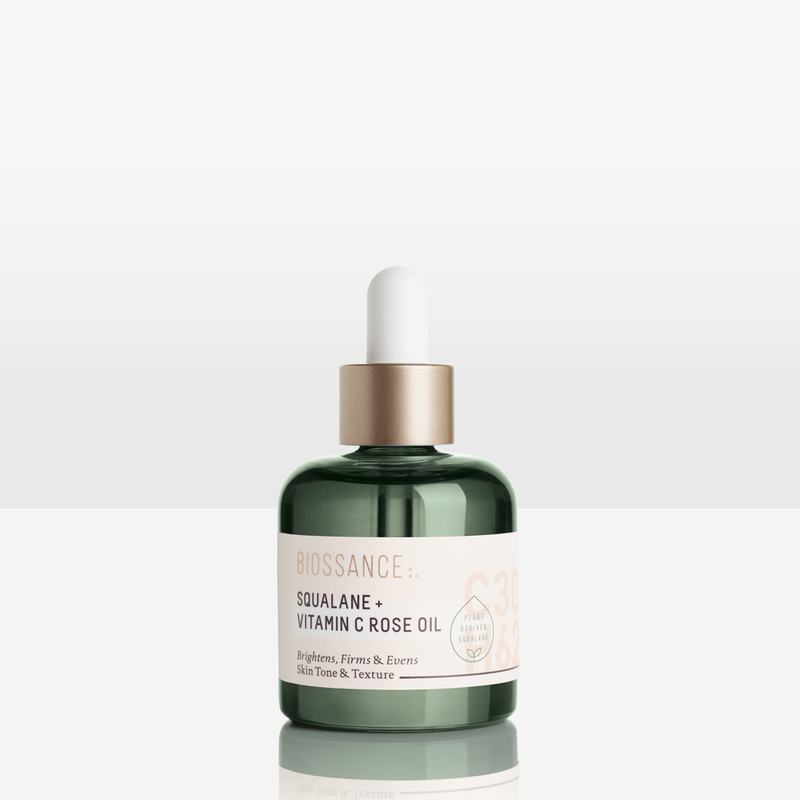 When Biossance’s Squalane + Vitamin C Rose Oil launched on Sephora’s website in 2016, it sold out within weeks. This was likely due to its use of Damascus rose oil (Kate Middleton and Miranda Kerr are known to praise Southern Andes-derived rosehip oil), but also perhaps because of one curious ingredient not usually in the spotlight: squalane. This highly hydrating compound is found naturally in shark liver and olives. We, of course, as humans, also naturally produce squalene—it makes up 13 per cent of our sebaceous glands and is necessary for our skin to function properly. Biossance, which notes that we start to decrease our squalene production as we hit our twenties, formulated and patented a 100 per cent sustainable source for the ingredient from sugar cane, and in 2015, began using it as a main part of its products. The Squalane + Vitamin C Rose Oil hydrates almost immediately. Over time, expect to see the rosehip oil reduce brown sunspots and acne scars, and let the Vitamin C protect against UVB rays that can cause signs of aging. Apply the product after cleansing and press it into damp skin for a subtle glow all day. Utilizing the beneficial herbs and flowers from the earth longer means compromising one’s vanity aesthetic. It’s never been so easy to maintain healthy skin—while keeping the environment in check, too.